Speedy filly Singular Sensation is marking time at Aquis Farm ahead of the $2 million Magic Millions Classic in January. The Not a Single Doubt 2yo is unbeaten after front-running victories at Sunshine Coast on November 5 and Doomben on Saturday. She was purchased by Blue Sky Bloodstock (FBAA) for $250,000 at the 2017 Gold Coast Magic Millions on behalf of Aquis Farm’s Fung family. 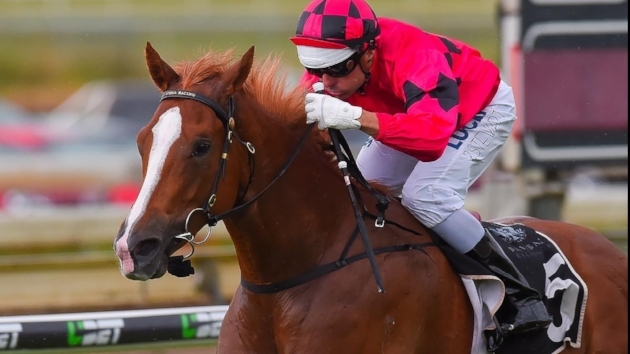 Singular Sensation should have earned enough money to qualify for the Magic Millions but will rubber-stamp her place in the final field with more prizemoney in the LR Calaway Gal Stakes (1050m) at Doomben on December 17. The flashy chestnut was purchased from the Newhaven Park draft and is a half-sister to Lightinthenite (G3 Coongy Hcp & Darwin Cup). Blue Sky Bloodstock agent Julian Blaxland bought over a dozen yearlings for Aquis Farm at the 2017 Gold Coast Magic Millions and, apart from various Queensland stables, they were placed with southern trainers Tony McEvoy, Gai Waterhouse and Mick Price. Top price was the $1.30 million More Than Ready full-brother to Sebring. He has been named Maybach and will race for a syndicate that includes John Singleton, Corumbene Stud’s George Altomonte, Peter Arvanitis, Peter Anastasiou and Ken Biddick. “I’ve had two Golden Slipper winners off Corumbene and this could be the third,” Gai Waterhouse said. “He’s a magical, masculine horse."